This blog post is one of many of a series we have about Microsoft Azure App Services. See a list of all our findings here. Microsoft has in a recent update released the possibility to provision API apps directly from the actions and triggers blade to your API app service (see Screenshot 1 below). This is an important update, since you no longer need to close the logic apps blade, add all the API apps and then go back to the Logic App. To read more about the update click here. Screenshot 1 – Create Logic App with list of available API Apps in Marketplace. As you can see in Screenshot 1, the list of available API apps is already long and will grow and grow. In the today’s version of Logic Apps there is no possibility to search, filter and group all available API apps, making it a hard task to find the API app you need. Name – as a text field. Company/Namespace – as a text field or multi-selectbox to simply search for API apps published by the different providers. This would make provision the required API apps within your Logic Apps easier. Integration Software is proud to announce the enrollment as a BizSpark Plus startup. BizSpark Plus gives Integration Software the opportunity to evaluate Microsoft Azure as a platform for internal processes and how the platform can be used as a deployment alternative for its products – such as Integration Manager, BizDoc, etc. To read more about BizSpark Plus follow this link: http://www.microsoft.com/BizSpark/Plus/Default.aspx. Microsoft has an integration newsletter we would like you to inform you about. The newsletter contains useful information about upcoming/ongoing events as well as past events – making it easy for you to know what is happening in the Microsoft integration world. To subscribe to the newsletter, please here. Picture taken from Microsoft BizTalk Integration Newsletter – Issue 8. 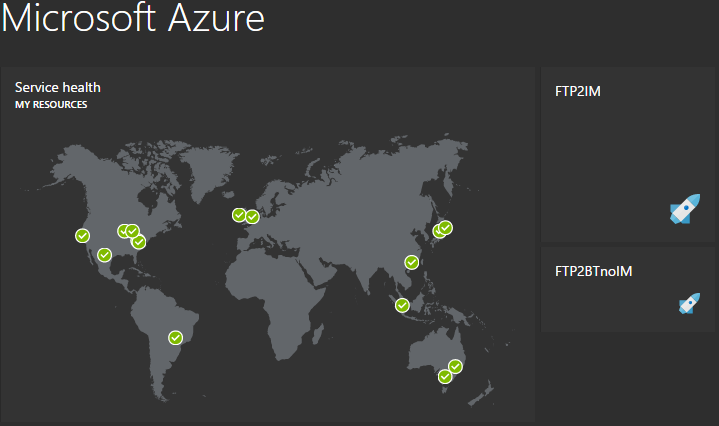 The new Azure portal is great when it comes to flexibility and customization support for the user interface or at least when it comes to the start page. You can add shortcuts to virtual machines, websites, etc. to your dashboard, as well as billing information, etc. 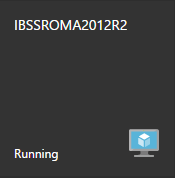 And this makes it interesting from a monitoring point of view, since you can add a shortcut to your virtual machine and the dashboard will then provide you with a shortcut link, as well as shows information about the state. This means that if the virtual machine is stopped – the dashboard/home page will tell you as shown below in Screenshot 1. Screenshot 1 – Virtual Machine widget showing status. I wanted to add my Logic Apps to my dashboard to simply provide myself with useful shortcuts as well as I thought that the widget on the dashboard would then show me the state of the application itself – but no (see Screenshot 2 below). Unfortunately the new widgets provided for the logic apps do not show the state yet. Screenshot 2 – Status of logic app not showing on home. Integration Manager – a tool for centralizing logging and monitoring of data and systems in your system integration provides you that shows all logic apps, not only the one in your Azure directory- but all directories you configure it to log from and to monitor. Show the state of the logic apps (running/stopped), as well as the state of all API apps used in the logic apps, since they are important as well for the integrations you’ve build to work. Working with Logic Apps is fun, but in the current version of it is kind of hard to keep track what all the different actions do. Let’s say you use the BizTalk XPath Extractor several times, because you need to extract several values from an XML file content. But take a look at Screenshot 1 below and see what it looks like. With the announcement that Integration Manager now fully supports logging in Logic Apps it becomes very easy to follow the chain of occurred events in your logic apps, enabling you to see the input and output of the different actions which helps you understanding the different logic apps better – read the announcement by clicking here. As you can see in Screenshot 1 above it is pretty hard to understand what the different extractor actions do, isn’t it? It will be a demanding task to learn and understand logic apps by just looking at them in they designer view if they will look like shown in Screenshot 1, since the information provided is not enough – making it hard to understand. What we would like to see is a way of commenting each action in the workflow for better understanding each action being executed. An example would be a comment field enabling developers to explain what the action does. Guru Venkataraman and Mark Mortimore from Microsoft held a presentation about the critical mission to use cloud capabilities on Microsoft Azure for building system integrations during the Microsoft Ignite event in Chicago. We have been chosen to be one of the partners for showing the audience the capabilities Microsoft offers its partners and customers in the new service – App Services. In one of their demos they decided to show how you can extend your Logic Apps with monitoring and logging capabilities by using one of our products – Integration Manager. See the whole recorded session by clicking here. We are proud to announce that Integration Manager now fully supports logging all events/messages and monitoring Microsoft Azure Logic Apps. These new capabilities enables you to simply log all messages as well as to monitor all Logic Apps in your Microsoft Azure subscription. 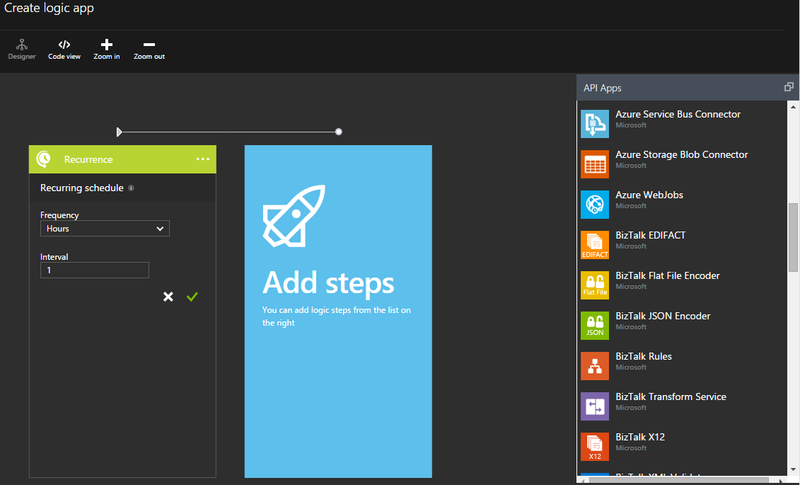 Simply install our all new log and monitor agent for Microsoft Azure Logic Apps, let it connect to Microsoft Azure and fetch all messages and monitor all parts of your Logic Apps. Integration Manager’s Log and Monitor Agent for Microsoft Azure Logic Apps will log not only that an operation has been executed, it will also log the input and output data of all actions being executed within the different Logic Apps. All events being logged contain a correlation id as a contextual value which easily can be used as a Search Field to group the different events, enabling you to see the whole chain of events and get it all in one place. The new agent for logging and monitoring for Microsoft Azure Logic Apps automatically keeps track of all Logic Apps published in your Azure subscription. Not only are the statuses of your Logic Apps being monitored, even the different connectors are being monitored – giving you the insight and control you need in order for you to know that everything is in place and running according for your business to work. Want to see a demo and want to learn more? Please contact us at info@integrationsoftware.se and we will set up an online meeting and show you how easy you can get in control and retrieve the insight you need! Developing Logic Apps requires you to put a chain of API apps in place. This chain can of course be changed. An API app has changed. The flow has changed and therefore maybe the order of API apps. Some of the points in the list above such as if a connector is still working or not can be monitored by Integration Manager. The designer the current state of Logic Apps is offering does not offer drag and drop and therefore changing the order of API apps or inserting a new API app in between is not possible. Luckily for us the designer view is not the only view available the Logic App designer offers – we also have the code view. You can achieve changing the order of API apps / connectors in your Logic App by changing the JSON workflow definition. To learn more about the Workflow definition click here. What we would like is of course the possibility to drag and drop the different connectors and put them in the order we want instead of needing to change the JSON workflow definition.